How annoying it is when you walk into a book store in Perth only to find Hetty’s books and they have not restocked their shelves. Very! We are going to tell you of a little secret. If you are down Guildford way – you will find both books – “Hetty” and “The Children’s House of Belsen” – available in The Dutch Shop. Don’t be surprised if you walk out with some yummy Dutch licorice. We’ve all been there and done that! 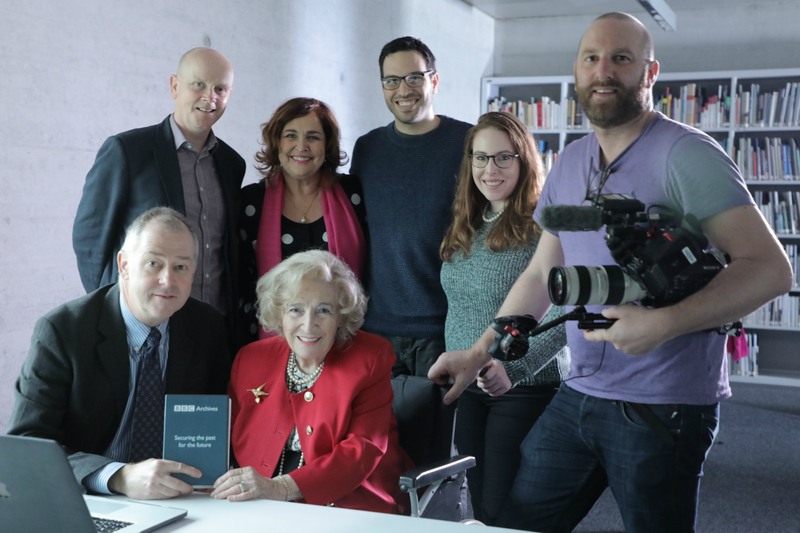 The Spectator UK a Politics and Culture Online Magazine, rated the radio programme in which Hetty recounts her life in Bergen Belsen, as the most inspiring radio this week. Hetty’s programme aired around the world on BBC World Service, just this week. They mention it, as “a week of extraordinarily direct and honest radio on the world service”. This is not a sad story. Is the opening line to this radio programme. Here is the full version of the BBC World Service, radio programme, produced for the Children of Belsen documentary filmed in April 2018, including the voice of Patrick Gordon Walker, from the BBC radio archives from 1945. Walker, a British journalist was one of the first to enter Bergen Belsen and he recorded the voices of three of the children of the camp. One of them of course was Hetty. This is a very personal look at the story of Hetty and her brothers Jacky and Maxy but also discusses some of the history of the inmates of Bergen Belsen. Hetty has been sharing her account with as many others as possible over the years, however, interviewer Mike Lanchin retraces the story of Hetty’s journey over a few days of intimate discussions. 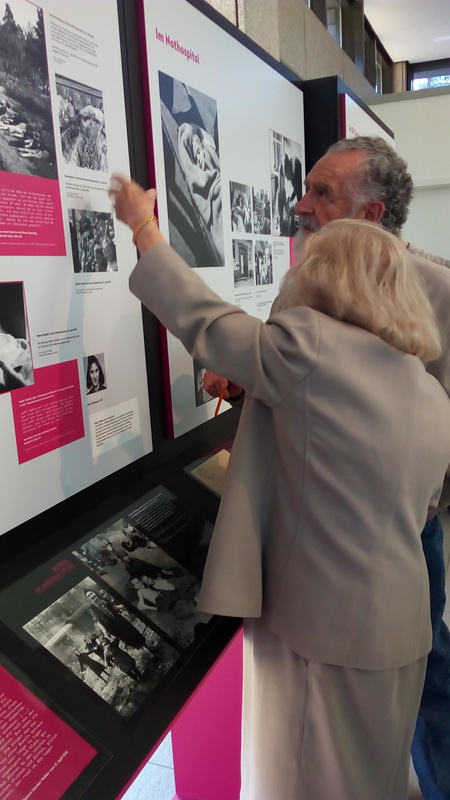 It includes singing of the children of Belsen at liberation and interviews of other children, now elderly people, who give their own insight to their experiences. Lastly it also includes interviews of Hetty’s daughter and grandson who talk out for the first time about being part of family, with a holocaust survivor. A beautifully produced programme that will be a wonderful legacy for Hetty’s family and the world. Hetty begins by saying “This in not a sad story ” and actually believe it or not – she is quite right! This link shows the interview recorded for the BBC in April at Bergen Belsen. With now over 1,200,00 shares we think people may like to revisit it. The Month of April 2018 was a very busy time for Hetty. There was the opening of the Children’s Exhibition in Bergen Belsen, the flight over, in itself, quite a long journey from Australia and BBC Documentaries to be made about remembering Belsen, (the British liberated Belsen), a Radio piece and a segment for BBC World Service, Witness with Hetty as the subject. During her stay at Jan Tabak in Bussum, Mike Lanchin a Senior Producer/Presenter at the BBC World Service for Witness came ahead for a few days to interview Hetty to begin the process of discussing a difficult topic. After a few days of getting to know each other the two became friends. There is a lovely image of the BBC Crew but nothing with Mike and so we would like to share a lovely picture of Mike with Hetty, after those few days of the pre amble for the shows ahead. Listening to a 73 year old BBC recording of Hetty, being interviewed by Patrick Gordon in 1945, we see Hetty’s favourite interview, with Jeremy Cooke.